What If The Spider-man Movie had Real Stunts? Check This Out! The Amazing Spider-man 2 is coming at us this weekend and though I’m going to see it I wouldn’t say so it looks like anything truly amazing. Another shiny Hollywood Blockbuster overflowing with glittery video game style CGI and extremely limited real life stunt work. 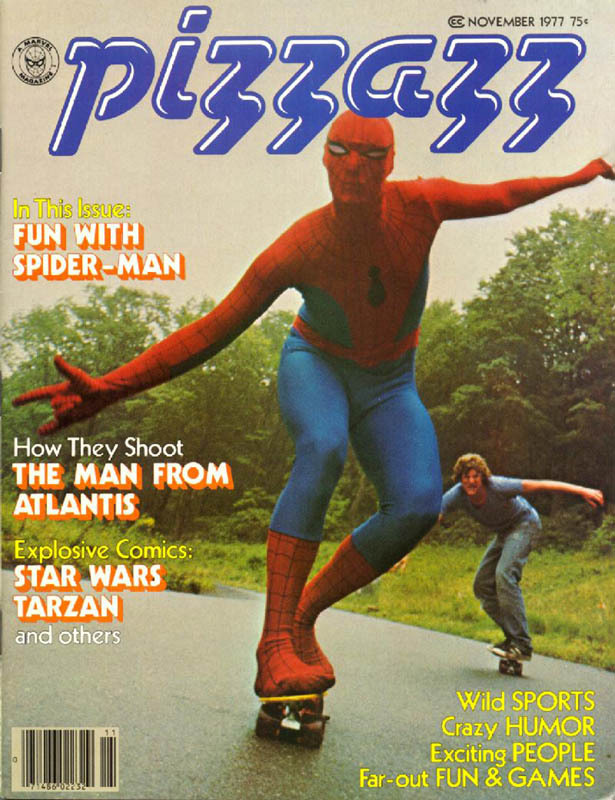 This pic really has nothing to do with this post-I just think it’s rad seeing 1970’s Spidey on a skateboard. But what if suddenly Hollywood wised up a bit? What if they decided to use CGI only where necessary to enhance imagery and went with some actual real choreography to put together the action sequences for everyone’s favorite webhead? Well this recent video of parkour master Ronnie Shalvis will certainly prove that Spider-man doesn’t need to be a largely CG character in his action sequences. Of course you’ll never see something this cool in a Spider-man flick these days, check out what Spider-man might really look like in a real world setting doing real stunts…it’s breathtaking! Check out the behind the scenes video-normally I’m not a fan of drones, but I’m totally cool with them being utilized this way!